Carol King has been blessed to be a part of Hosanna Christian School since 2009. 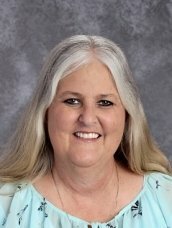 During her time here, she has had the privilege to teach kindergarten and currently 3/4 grade. She loves the fun learning experiences they get to share together all the while building on the fundamental foundation of education. Carol strives to provide a safe, fun, Christ centered classroom. Carol and her husband Matt have been married or 25 years and have 3 children. She attends Calvary Fellowship Gig Harbor. 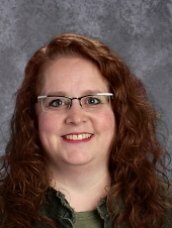 Beth Kilcup, born and raised in Southern Illinois, has taught in both public and Christian schools. She values the individuality of each student and the opportunity to nuture them for success in life with God, prayer, and His Word. Beth and her husband Jon have been married 19 years and are blessed with three children. Karista has worked at Heartland Christian School in San Diego since 2007, most recently teaching 1st & 2nd grade. She joined our staff at Hosanna in March of this year, as a Teacher’s Aid in the 1st & 2nd grade class. She taught 2nd grade here for 1 year and is now teaching Kindergarten. Karista moved up here with her husband Grant, who has taken a job as a worship leader at a local church. How great it is to see Hosanna growing and changing in so many ways! Shakindra Wallitner is excited to be our 1st-2nd grade teacher. She joined our staff in 2011/2012 School year from Cedar Park Christian School in Bothell where she taught first grade for 12 years. She is a graduate of Northwest University with a Bachelor’s degree in Elementary Education and an endorsement in History. She is married and resides in Gig Harbor with her husband, two wonderful step-sons, and their dog Luci. Tiffany Moore has lived in Gig Harbor for 20 years and before that, lived overseas with her husband and kids as missionaries in Europe with International Teams. She has homeschooled all three children and taught writing and literature at the Fox Island Co-op. During that season, she had the exciting opportunity to develop history curriculum with author Susan Wise Bauer, collaborating on four activity books. Her passion is in writing and history but also enjoys seeing the beauty of God’s work in science and other subjects. She enjoys family, sewing, paper crafting and reading and attends Chapel Hill Presbyterian Church here in Gig Harbor. Robin Gordon is our lead teacher, teaching 7th and 8th grade. 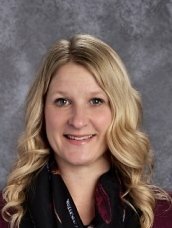 She graduated from Pacific Lutheran University in 2001 with a Bachelor of Arts degree in elementary education with an emphasis in literacy. She has completed one year towards a Master’s Degree in education as well. 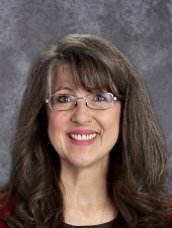 She has taught in both public and private schools for the last 18 years, with 6 of those years being at Hosanna. She is grateful for the opportunity to provide a Godly environment to pour into the hearts of the children. Robin and her husband have been married for 15 years, and have a joyous 13-year-old daughter named Bella. Robin and her family worship at Calvary Fellowship Gig Harbor, where they are involved in a small group and also her husband Scott is an elder. Mrs. Hash accepted Jesus as her Savior when she was 3 years old. Early on, she remembers wanting to touch others’ lives, both near and far, for Jesus. She began praying for France, and other francophone people, when she was 8 years old. Mrs. Hash’s schooling choices were made with that in mind. She has been blessed with the opportunity to trust God with every aspect of her life and thrilled to watch how He has fulfilled her heart’s desires and unfolded His plan for her life. 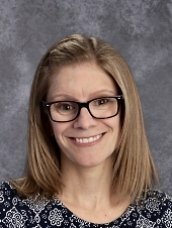 Mrs. Hash received her K-12 French and 4-12 English Teaching Certification from Central Washington University, as well as receiving Internationale Baccalaureate Certification for the Humanities and French. 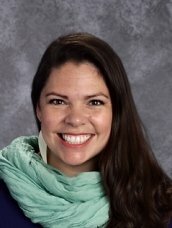 For the last 20 years, she has been able to teach in both public and private schools, including in France where she lived and finished her French degree at the University of Aix Provence Marseille in Avignon, and provided occasional simultaneous interpretation services for an international ministry based here in Gig Harbor. 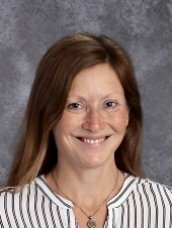 Mrs. Hash enjoys music, reading, traveling, and spending time with her family. Her daughter attends Hosanna, and she is blessed to be able to teach here and be a part of the Hosanna Family. She and her family attend Harborview Fellowship, where she and her husband Bill are involved in several ministries. It is her prayer that her students, and all with whom she is blessed to interact with, begin to know God more as their roots grow down deep into His love, and as they grow stronger that they begin to understand how wide, how high, and how deep His love truly is (Eph. 3:14-20). After growing up in southern CA and living in Utah for 6 years, Mrs. Grubbs and her family moved to WA in 2012. She couldn’t be happier living here in green Washington State. She is married with 2 beautiful children. Being able to work in such a beautiful Christian environment is so uplifting. She is so blessed to be part of such a loving family named Hosanna. She has always loved children and office work, so this is a perfect fit for her. Please feel free to come in and visit. Mrs. Grubbs is here for you. Born and raised in sunny San Diego, CA. she was raised with 2 great Christian parents and 4 siblings who all love the Lord. They all were very involved in the church and went to a Christian school their whole lives. When she left CA to move to WA with part of my family, she had put in 20 years as Office Manager at heartland Christian School where all 3 of her kids graduated. Mrs. Stensrud’s heart is to serve the Lord wherever He needs her! She is blessed to be on the Hosanna staff. Linda Long graduated from Central Washington University with a B.A. in Music Education. 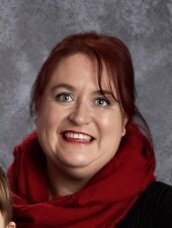 She has been a private lesson music teacher in the Gig Harbor area for a number of years and also has experience accompanying and playing on church worship teams. She believes every person should have the opportunity to learn and experience the joy of making music. The music teacher’s job is to guide them in that process to increased skill in playing with positive motivation and acceptance and to offer opportunities for sharing the music they have learned. Her favorite part is the relationships developed with her music students and their families.